WaterField’s first-ever Kickstarter campaign crushed its original funding goal by reaching the 600% funded mark within its first full day after launch. 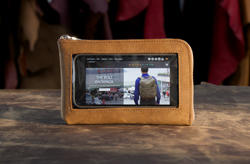 New backers may pledge for the one-of-a-kind Intrepid iPhoneTravel Wallet — an RFID-blocking wallet, play-through iPhone case and travel attaché — through Kickstarter until September 25. We’re floored and gratified to have achieved such success with our first Kickstarter campaign in such a short amount of time. The WaterField Designs new Intrepid Travel Wallet shattered its crowdfunding goal by reaching 600% within its first full day after launch. 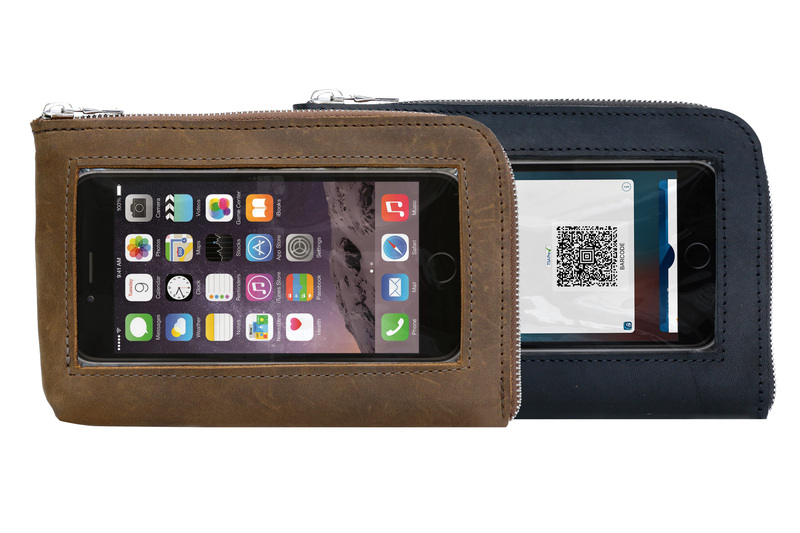 The Intrepid is a leather, all-in-one travel case with iPhone play-through capability for scanning QR codes and downloaded tickets, or for checking texts, emails, and apps. The interior includes Intuitive organization compartments for passport, tickets, foreign exchange and coins. Having now reached nearly 750% of its initial funding goal, WaterField continues to add pledge options to meet growing demand. The Intrepid Kickstarter campaign runs through September 25, 2016. 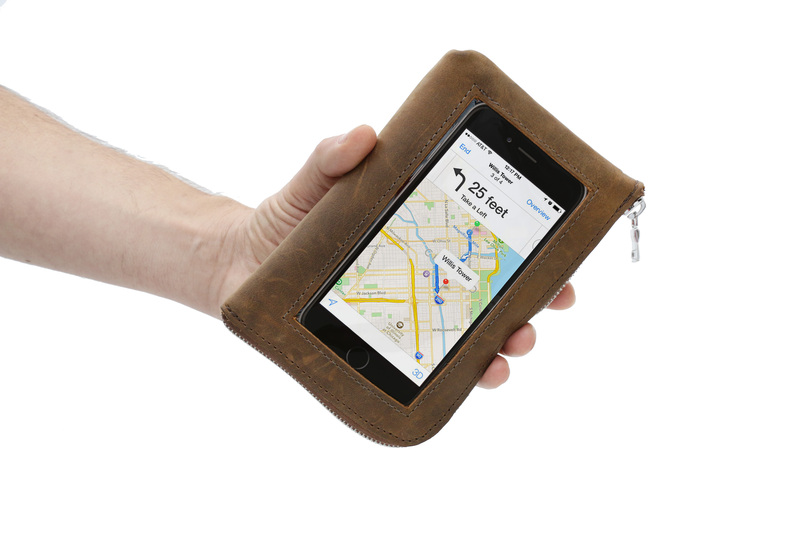 The Intrepid Travel Wallet is at once a wallet, iPhone case and a travel attaché. 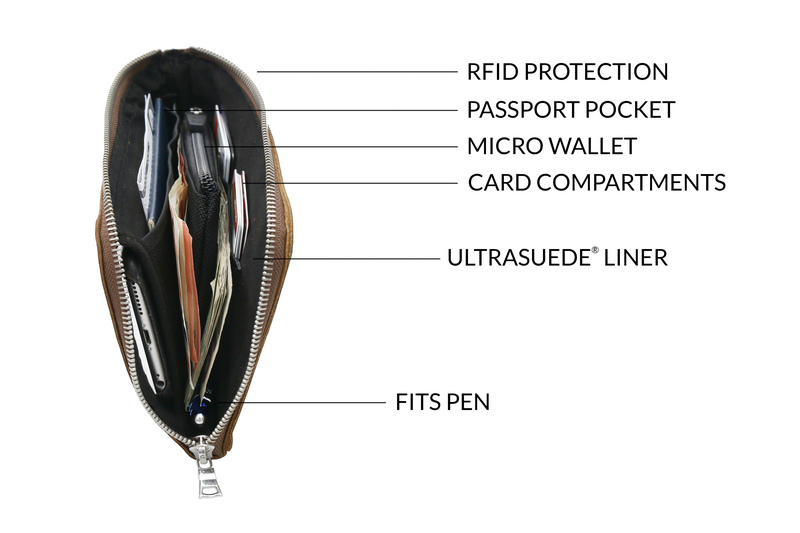 As a wallet, two interior side pockets hold credit cards, hotel keys and metro tickets; its main compartment is large enough for domestic or foreign bills and a pen. Built-in RFID-blocking capability offers extra security while traveling about. 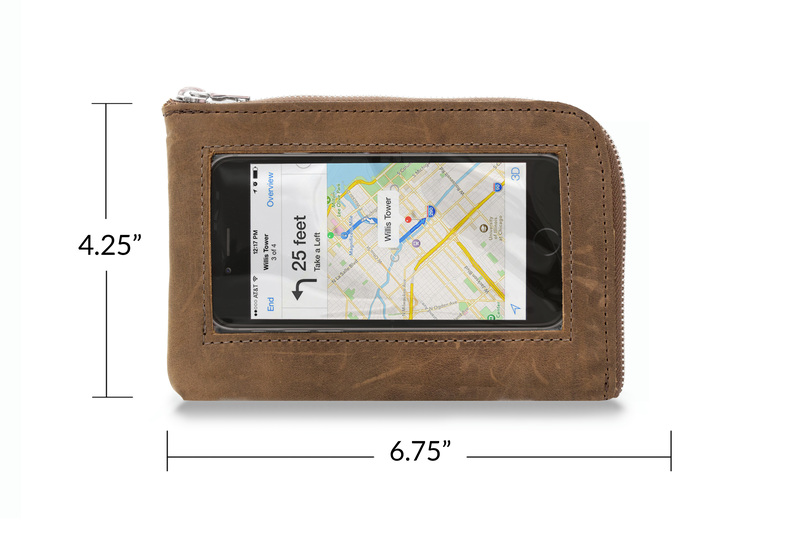 An included zippered pouch, the Micro Wallet, fits inside the main compartment to secure coins or keys. As an iPhone case, the Intrepid’s revolutionary play-through, scannable screen allows users to access the phone for texts, emails and apps, and to scan a boarding passes without removing the phone. The Travel Wallet holds all this plus a passport in a custom-sized pocket in one organized place, as any good travel attaché should. The Travel Wallet saves time at TSA checkpoints and fits neatly in an airline seat-back pocket for easy access to in-flight necessities. The Intrepid Travel Wallet is available in two sizes, one designed for the imminent iPhone 7 or similarly-sized phones and one for phones the size of the iPhone 7 Plus. An Ultrasuede ® liner keeps phones and other contents scratch-free and a handsome and heavy-duty G2 metal zipper keeps contents secure. A designated iPhone enclosure with transparent play-through screen, a special passport pocket and dual card pockets keep travel-related needs neatly organized. Supporters may choose a black or brown premium full-grain leather exterior. Through this — its first Kickstarter campaign — WaterField builds on a seminal aspect of its business by allowing pledged supporters the opportunity to help determine final design details: an additional color and other features may be added based on backer’s feedback. Reward #1: Intrepid iPhone 7 Travel Wallet with October shipment. $75—24% off $99 MSRP. Reward #3: Globetrotter Kit — Intrepid Wallet + Padded Gear Pouch with October shipment. $119—25% off $ MSRP. Added to meet demand — Reward #4: Globetrotter Kit — Intrepid Wallet + Padded Gear Pouch with November shipment. $119—25% off $ MSRP. 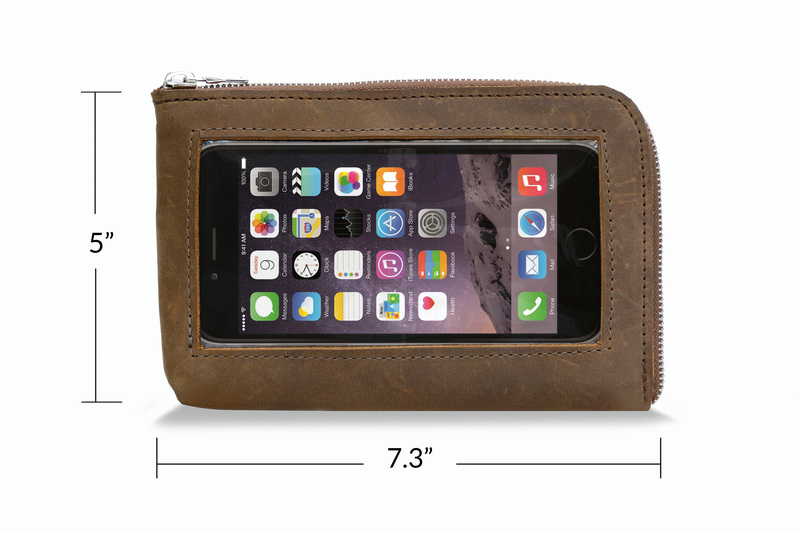 Colors: Black or brown premium, naturally-tanned, full-grain leather. Includes black ballistic nylon Micro Wallet zippered pouch. Dimensions and weight: iPhone 7 size — 6.75 x 4.25 x .75 inches; 3.2 oz. iPhone 7 Plus size — 7.3 x 5 x .75 inches; 5.6 oz.